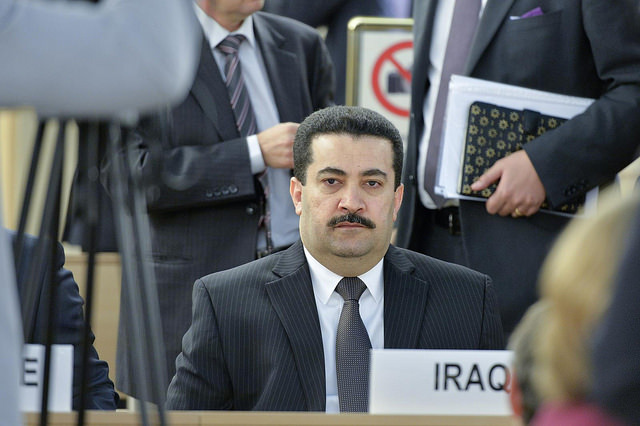 Mohammed Shia’ Al Sudani, Minister of Human Rights for Iraq, during the special session on Iraq of the Human Rights Council. The United Nations Human Rights Council held its 22nd special session this week to address human rights violations committed by the Islamic State and associated groups, which have been accused of mass atrocities as they move to take territory and eliminate minority groups in Iraq and neighboring countries. [OHCHR; Amnesty] The UN Human Rights Council adopted a resolution requesting the Office of the High Commissioner for Human Rights (OHCHR) to deploy an emergency fact-finding mission to Iraq in order to investigate human rights abuses committed by the Islamic State and to provide technical assistance to the government. The High Commissioner for Human Rights should provide the Human Rights Council with an oral update on the resolution’s implementation later this month. See UN Human Rights Council, Draft Resolution S-22/ . . . , The human rights situation in Iraq in the light of abuses committed by the so-called Islamic State in Iraq and the Levant and associated groups, UN Doc. A/HRC/S-22/L.1, 1 September 2014. 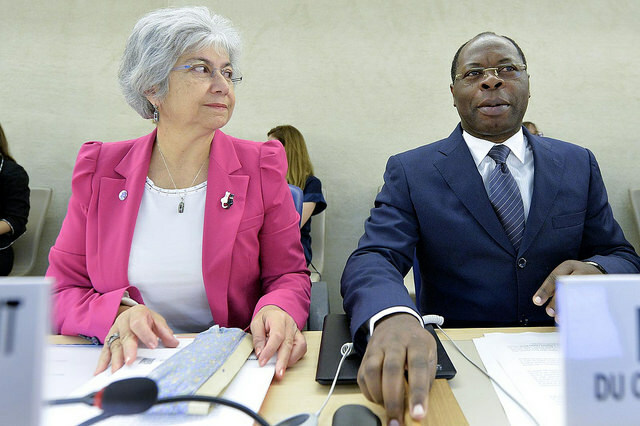 Baudelaire Ndong Ella (right), President of the Human Rights Council, and Flavia Pansieri (left), Deputy High Commissioner for Human Rights, during the special session. The Security Council also passed Resolution 2170, condemning recruitment to IS, and calling upon Member States to take measures to stop the flow of foreign terrorist fighters and to prevent the financing of terrorist acts. See UN Security Council, Resolution 2170, UN Doc. S/RES/2170, 15 August 2014. While there is no active Human Rights Council “special procedure” focused specifically on Iraq (its mandate having ended in 2004), the human rights situation in the country continues to be monitored by other thematic procedures and several treaty bodies. See OHCHR, Iraq.